PRICE REDUCTION!! Bring all offers! Very motivated seller! FIXER UPPER! Cozy lake home on large level lot. 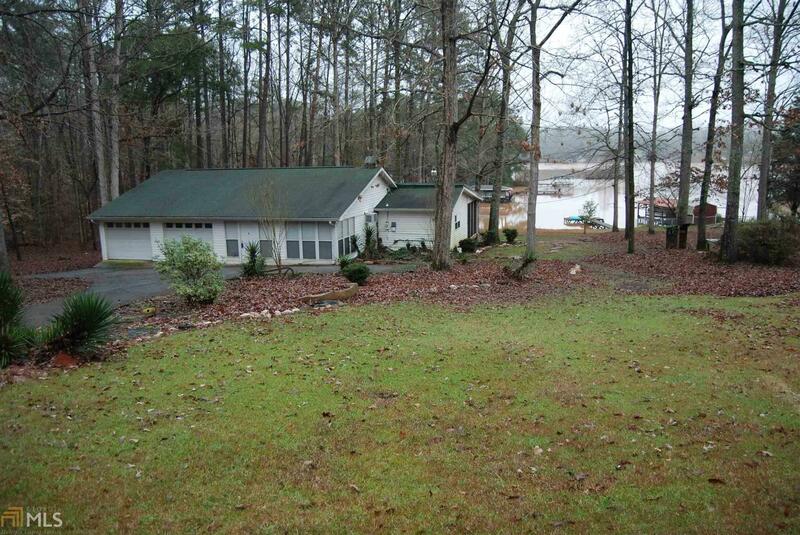 This is a 2 bedroom 2 full bath home and is nestled in a cove and in a very quiet neighborhood. It is conveniently located to both Eatonton and Milledgeville. This home is being sold AS IS and can be your forever home or just a place to get away for the weekend to relax with just a few renovations. It has a screened porch and deck for that evening sunset or that morning cup of coffee. This lot has an amazing view and is a must see! It also has a shed for storage or a workshop. Double car garage is attached and it has a room for pool table. It even has a dock in place for fishing, swimming, or to dock your boat. Owners are motivated to sell. Directions: Turn Onto Twin Bridges Rd Off Hwy 212. Take A Right Onto Napier Rd. Turn Right Onto Napier Mill Rd SW. Turn Left Onto Oak Ln. House Will Be On The Right.